Come to the second concert of our 30th season! Back for the third time, Ken Cowan is one of North America’s finest concert organists, praised for his azzling artistry, impeccable technique, and imaginative programming. He performs in major concert venues and churches in the USA, Canada, Europe, and Asia. Educated at the Yale School of Music / Institute of Sacred Music, he studied organ with Thomas Murray. He’s currently an Associate Professor, and heads the Organ Program at the Shepherd School of Music at Rice University. Sunday, 17 February 2019 at 2:30 pm. Tickets $25, $20 seniors, $10 students, available at McNally Robinson or at the Door. Next Sunday, February 3rd, we will be celebrating the Sacrament of Communion. Your Communion offering will be designated for the work of the Minister’s Discretionary Fund (formerly the Session Fund). Money to this fund is used to offer bus tickets and other forms of support to individuals in cases of urgent and/or serious need, at the discretion of the minister. Small brown envelopes may be found in front of your envelope box or on the narthex or hallways tables. If you use an envelope from the pew rack, please mark it Communion offering. Save the Dates! On Mondays, from 7:00 to 9:00 pm, March 11th to April 1st, Truth and Reconcilliation: Westworth 2019 Interfaith Dialogue. The Inner and Outer Connections Committee invites the Westminster community to attend Westworth United Church’s 2019 Interfaith Dialogue – a four part series taking place in a variety of faith centers. Participants may attend one, two, three or all four sessions. For more information, please see the poster on the bulletin board. Cool clean and compelling feature films, documentaries and shorts from around the world in a multi-theatre style format. Tuesday, February 19th to Sunday, February 24th — full details here — schedules and posters in the Narthex and back hall. Proceeds from the festival support inner city youth projects. The Alleluia Singers present ‘An afternoon of Gospel music’ at Crescent Fort Rouge United Church on Sunday, February 10th at 2:00 pm. 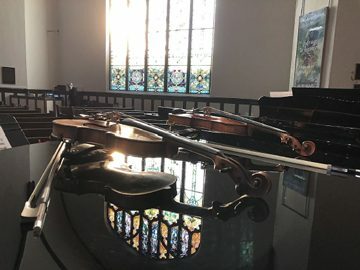 Come and enjoy a relaxing, uplifting afternoon of beautiful music. Tickets are $10 and available from a choir member or at the door. On seven Thursdays (February 14th to March 28th) from 10 am to 12 noon, at Westminster Church, Pat Miles will facilitate a small group on your very own pilgrimage toward the One. To register (limited to 8) please phone 204-784- 1330 and leave your name. Free will donation to Westminster Church. Books can be purchased through Amazon.ca or chapters.indigo.ca. A project of Westminster’s Inner and Outer Connections Committee. By Popular Request: a fundraising concert by Vocal Ascent for Westworth United Church, Sunday, January 27 @ 7 pm. See posters for more information. Mark Your Calendars! ‘The Clock Struck One,’ the Caught In the Act Co.’s 9th Annual Dinner Theatre performance: April 25 to 28, 2019 (Thursday, April 25-Saturday, April 27th at 6:30 pm, and Sunday, April 28th at 4:30 pm.) Tickets on sale Saturday, 23 February 2019, from 9:00 am to 11:30 am in Transcona Memorial United Church’s Yale Hall. Tickets are $45.00 each; a $20.00 donation receipt will be issued at the time of purchase. After Feb 23rd, contact Frank & Carol Favoni at 204-222-1475 or favonifc@mymts.net for tickets. 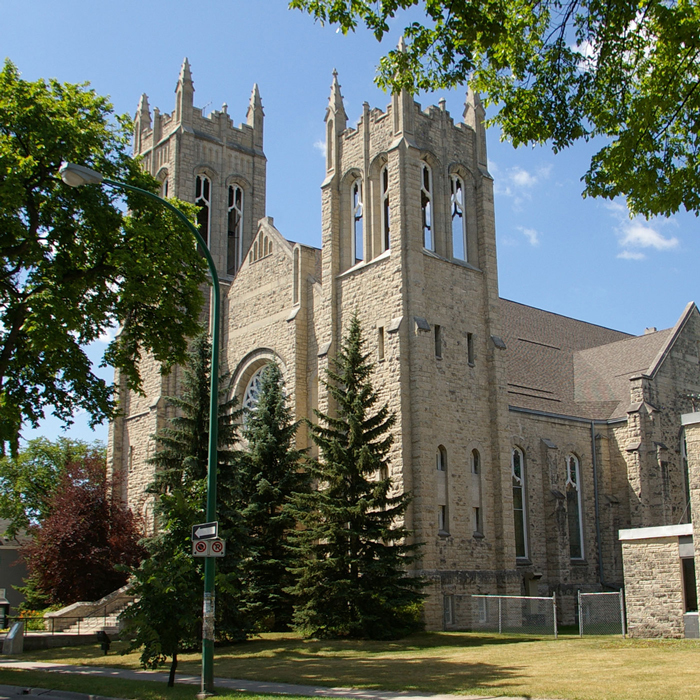 Fort Garry United Church has fitness programs for seniors and Moms and tots. See their poster on the bulletin boards.